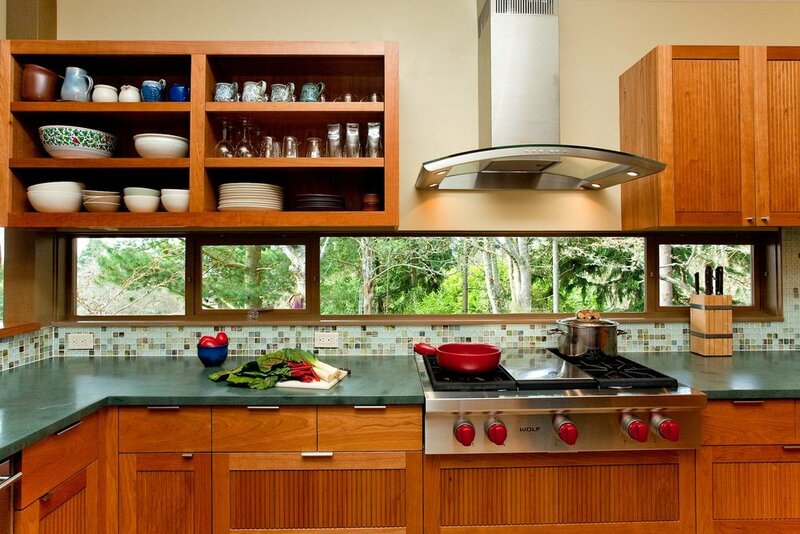 Magnificent custom cherry cabinets, designed to complement the original mid-century architecture of the home, define this Broadview Kitchen Remodel. 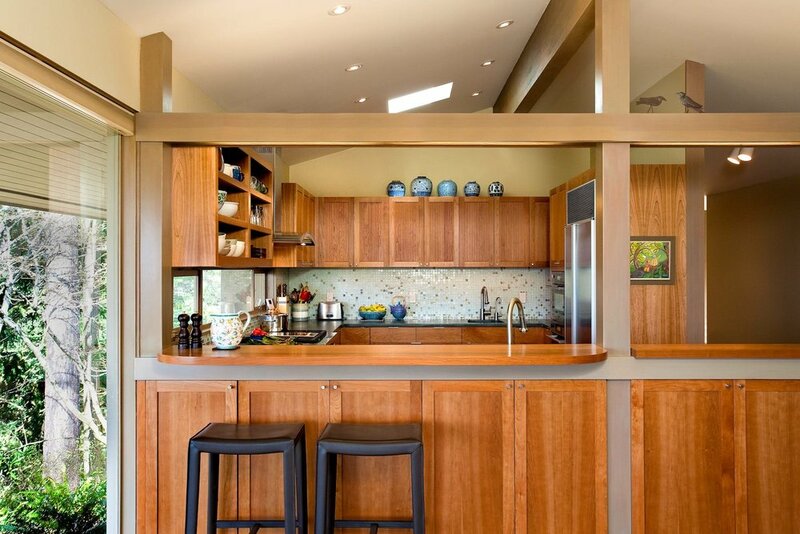 Custom story windows open up to and highlight the natural beauty of the views outside, while the warmth of the wood cabinets creates a cozy space within. 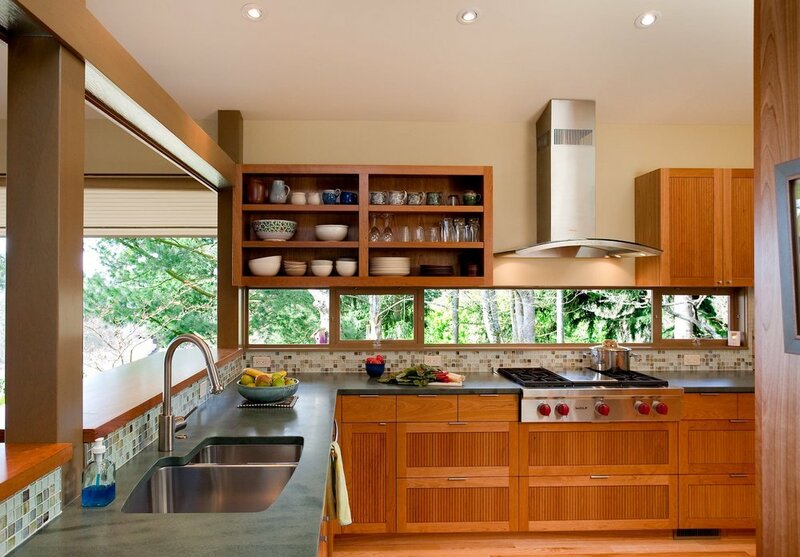 Imported Elterwater slate was hand-placed to create the custom tile backsplash, and built-in trim work around the cabinets with a custom steel handrail create a stylish aesthetic. 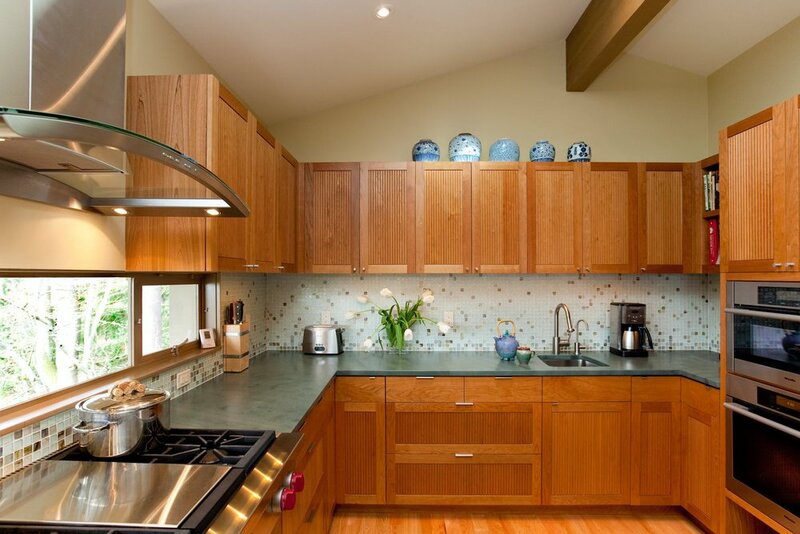 The refinished and restored existing beam work give a historical and timeless element to this beautiful and functional kitchen.